Becoming a Trader, Is it Right for You? The road to consistently profiting from the market begins with the question, is becoming a trader right for you? Is it a career you’re looking for? A job? A lifestyle? Most people become or strive to become consistently profitable traders because they think it will bring them endless amounts of money and while this may be the case for a select few (less than 1% I would estimate) trading is a hard way to make an easy living. Really, what I think most people are looking for is a passive income stream that will allow you to escape the 9-5 world and do the things you really want to do. Timothy Ferris talks about this extensively in his book The 4-hr Work Week. It’s one of the few books I would highly recommend reading, I just ask that in doing so you try to keep an open mind, as his ideas (at first) may seem a little out there. If being self-employed, working 12+hr days, 100% commission, and no salary is what you want then trading is the perfect profession. That is what this career path entails (At least for the first 5yrs or so). If you really want to trade for a living then Alexander Elder’s book, Trading for a Living, is a great way to get started. There are also some great resources over at EminiMind. One of the most important things you can do is associate with other traders, on forums, chat rooms, twitter, or facebook, it doesn’t matter. Talking to traders, and learning from each others mistakes will greatly speed up the learning curve. If you are truly passionate about trading and want to make it your career then the only thing standing in your way is any self doubt you may have. Make the commitment to doing whatever it takes to achieve your goals in life and you WILL achieve them. I can guarantee it will be difficult, cause pain at first, and test your dedication, but if you truly have that burning desire, you can do it. One of the most important parts of technical analysis is candlestick 101. 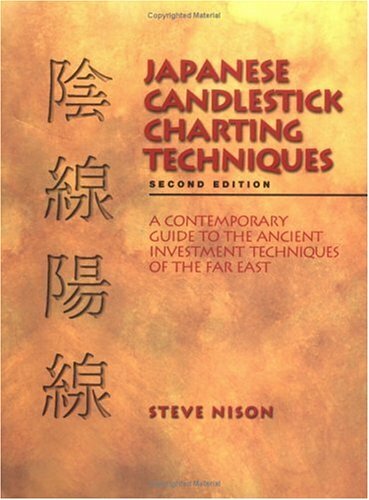 The candlestick charting method was brought to the United States by a man names Steve Nison. Nison is known as the founding father to candlestick 101 in the western part of the world. His book, Japanese Candlestick Charting Techniques includes everything from the basics, such as constructing the candlesticks and learning the patterns, to advanced topics, such as the rules of multiple technical techniques. These candlestick charting methods form the basis of many trading systems and profitable trading strategies. Whether you are new to candlestick charts or a seasoned pro-the reward from reading Japanese Candlestick Charting Techniques will be immediate and long lasting in your trading. This book teaches how make decisions based on price, not indicators, candlestick 101 is where it all begins. More posts on technical analysis can be viewed here. The biggest trader on the Eurex Paul Rotter is said to be one of the most successful traders of all time, and he does it as a flipper. Here is a feature story from Trader Monthly magazine in 2004 on Paul Rotter, sadly the magazine has since been discontinued. You can read more about trading extremely profitable and futures trading for a living over at the EminiMind blog.